Sending kids to daycare, school, or even off to their first day at work can be nerve-wracking when they have food allergies or special diet needs. And even if you aren’t dealing with a nut allergy, your child’s classroom may have a “nut-free” policy. Either way, you may be left wondering what easy snacks are safe to pack. 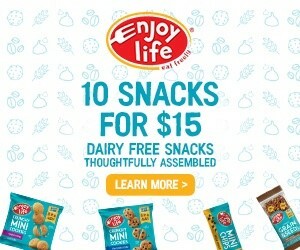 Don’t worry, I’ve partnered with So Delicious to put together an incredibly useful Nut-Free & Dairy-Free Snack List. 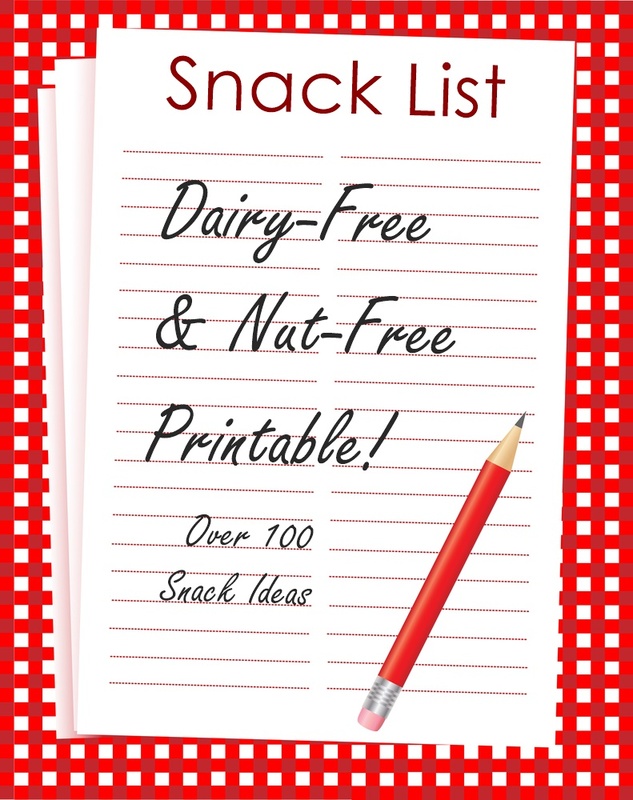 Here it is: The Printable Nut-Free & Dairy-Free Snack List! You can also click the image below to access it. 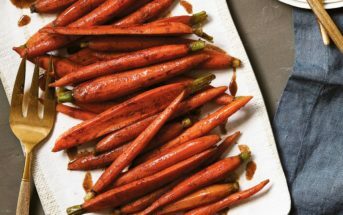 What it is: This Nut-Free & Dairy-Free Snack List includes over 100 easy to make snacks and store-bought options. The packaged goods include Dairy Alternatives, Cereals, Bars, Dips & Spreads, Breads & Bread Alternatives, Munchies, and of course some Treats! All are free of peanuts, tree nuts, and dairy, based on the information we received or read from the manufacturer. Every item also happens to be egg-free by ingredients and plant-based. There are many gluten-free goodies in the mix, too. Beyond the rather extensive Nut-Free & Dairy-Free Snack List above, I couldn’t resist sharing links to a few great recipes. 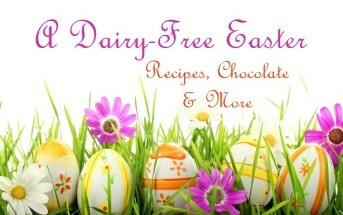 All of these are dairy-free, egg-free, peanut-free, tree nut-free, and vegan. Home-Baked Muffins: Try beloved Wacky Blueberry Muffins, Green Tea Mini Muffins, Triple Chocolate Mug Muffin, or Berry Bran Muffins. Creamy Creations: Enjoy spoonfuls of these Dirt Pudding Cups, Vanilla Chia Pudding Parfaits, Comforting Brown Rice Pudding, Chocolate Raspberry Pudding, or Strawberry Fool. Delightful Dips: Get out the dunk-ables for this Dairy-Free Cheesecake Dip, Peach Yogurt Dip, Pumpkin Hummus, or Healthy Queso Dip. Other Munchables: Everyone will enjoy these Kids Can Cook Protein Balls, Breakfast Push Pops, Barbecue Popcorn, Raspberry Fruit Leather, Trail Mix Bars, or Maple Spice Pumpkin Seeds. 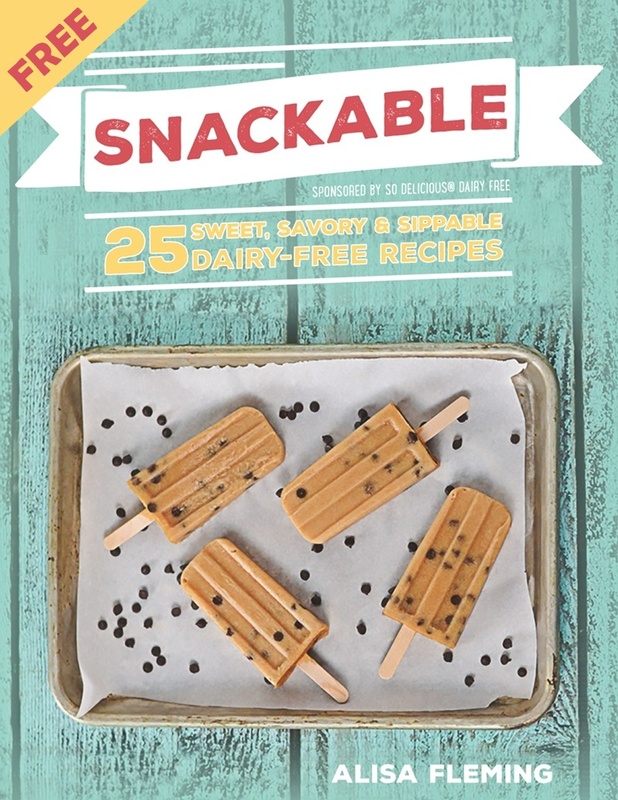 And don’t forget about our FREE Snackable E-Book, too! 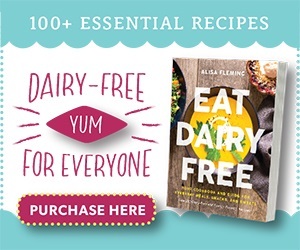 It’s dairy-free, egg-free, gluten-free, soy-free, peanut-free (options), and almost completely nut-free. Wow! So many fantastic ideas on one page! Thank you soooo much! Love this! Just shared it on my page. I have one I created for local snacks, etc that I share each year with my son’s schoolmates and it is so helpful! What an awesome resource! Thank you Alisa! Love all these ideas plus the Ebook! I think I would be making pumpkin hummus everyday if I could! Right? 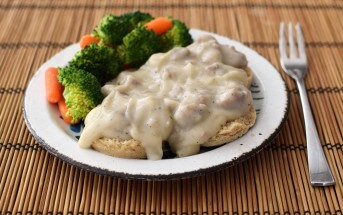 That one is such a neat recipe! Alisa, this is such a great resource! Thanks for putting it together. 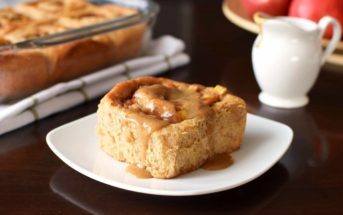 I really love the “make it” section- you’ve included so many easy, homemade snack ideas. “Ants On A Log” is such a classic but you know, I’ve never seen or thought of “red ants”…such a cute idea! Sometimes we forget about the simple things! I’m always hearing “but we hate raisins”! So I tried with “craisins” and they are great that way, too! For some reason, more kids seem to like dried cranberries over raisins. This is great! I will definitely be sharing. People just don’t realize that it can be so easy to find snacks that everyone can share! This list is perfect for back to school! What a great resource! I know this is a big help! I’m always looking for more safe snack ideas! Thanks for the printable! Lots of great snacks and that printable is such a great resource! I love this. My son is in a tree nut free classroom this year. They have snack time in the classroom, so this list will come in very handy! I’ve been wanting to get creating E-books. Any tips you have? Great topic idea!! What an amazing resource. I love that there are so many healthy and delicious options for those of us with allergies! Great list! So many great SAFE options! So many great ideas! I already have my wheels turning as my daughter’s good friend is in her class again this year and has a dairy allergy. There aren’t suppose to be cookies, cakes, and other unhealthy snacks for birthday treats. Their list of “healthy” treats floored me as fruit snacks were listed, even my husband was like what? We aren’t allowed to make treats to share but I’m always looking for great ideas to bring when bring snacks when I volunteer, when Aurora brings birthday treats, and for school parties which I often plan. It’s always amazing how many parents volunteer to help bring something and then either throw a fit about the chocolate chips I listed because they are a couple dollars more per bag or ignore it and send in the cheapest ones they find (which include dairy). I try to explain all kids should be included in the party and not have a “special” treat but the same as others and it isn’t even my child with the allergy. Sorry for the long post. Thanks for sharing this Sarah! It is crazy how people will spend a bunch on birthday celebrations without a second thought, but $2 more on a whole bag of chocolate chips to cover dozens of treats and it’s just “too much”. I hope this list helps out with your gang, and many others. It’s a good starting point and many of the products are very readily available.